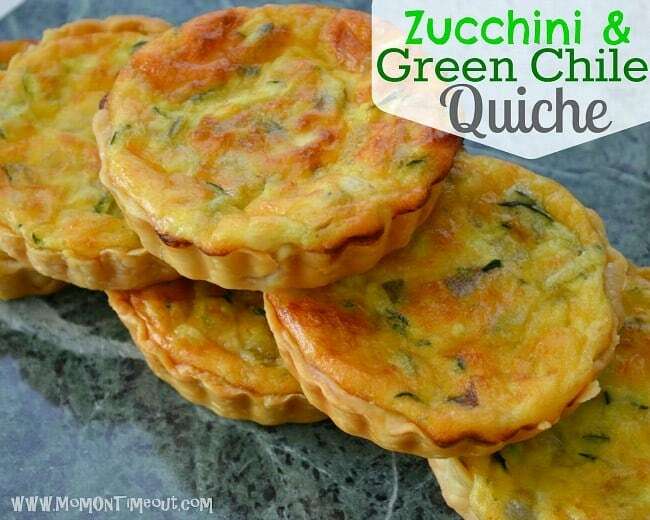 Your new favorite way to eat zucchini! 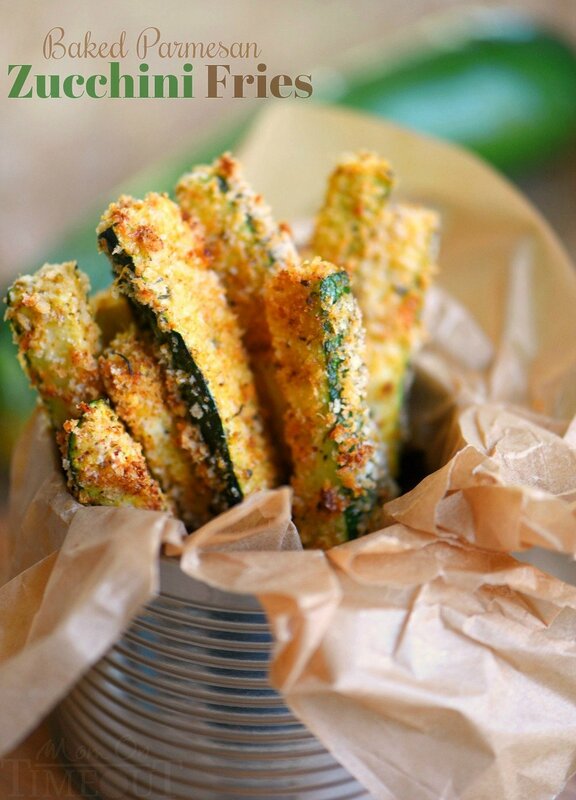 These Baked Parmesan Zucchini Fries are loaded with flavor and baked to golden perfection! The perfect way to use up your summer bounty! 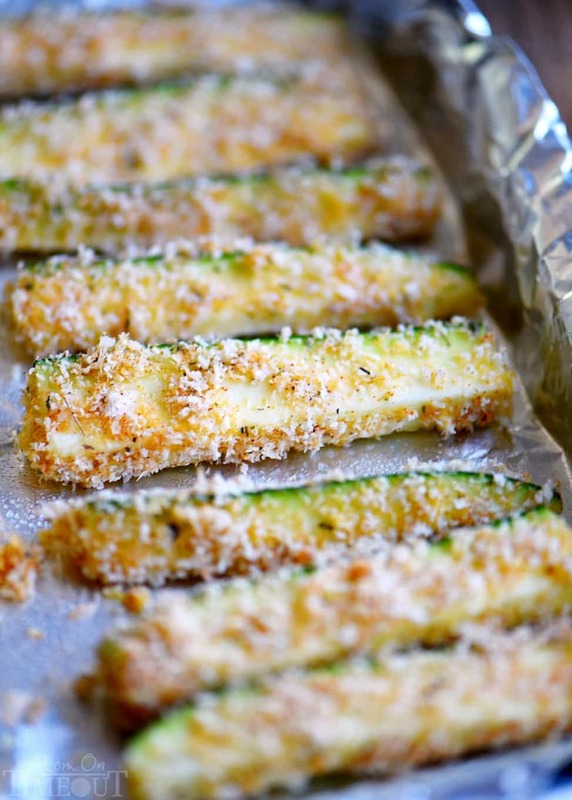 So excited to be sharing this amazing recipe for Baked Parmesan Zucchini Fries with you today! The heat is on! I am not a huge fan of the heat here in Sacramento, never have been. On days when the temp exceeds 100, you can find me blasting the AC and sitting under a ceiling fan trying keep cool. Fortunately, we almost always get a nice breeze as evening sets in and it helps to cool down the house. What I do love about the heat however is the way it makes my garden grow. I can literally see several inches of growth each day on our tomato and zucchini plants – they really do seem to love the heat! The zucchini does get a nice amount of afternoon shade which I think helps as well. Every summer, I usually end up with way more tomatoes and zucchini that I can handle…and my neighbors love it. While I can’t hand you a basket full of veggies, I’m excited to share this recipe with you today. 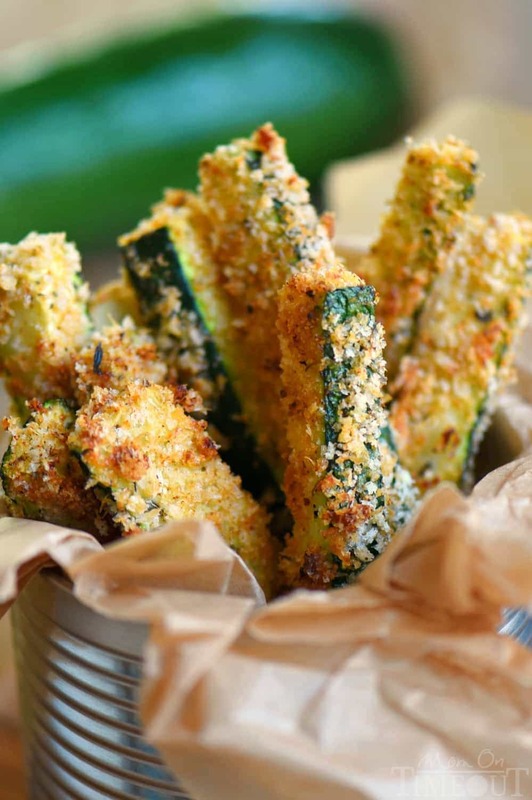 We have been enjoying our zucchini in every way imaginable but these Baked Parmesan Zucchini Fries are really something special. I breaded the zucchini with a mixture of Panko breadcrumbs, Parmesan cheese, and some seasonings. I deviated from the traditional F-E-B (flour-egg-breading) process skipping the flour because I wanted the fries to be lighter. You are more than welcome to coat the zucchini strips in flour before dipping into the egg wash though. It will give you a thicker coating. With less than 5 minutes of prep time, this easy veggie dish can be pulled together in a jiffy and is the perfect way to enjoy the summer harvest. The zucchini cooks up so nice – tender on the inside with a wonderfully flavorful, crunchy exterior thanks to the Panko bread crumbs. So yummy! 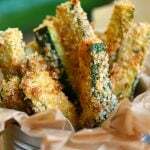 Serve the baked Parmesan zucchini fries by themselves or with marinara or ranch. Delicious! 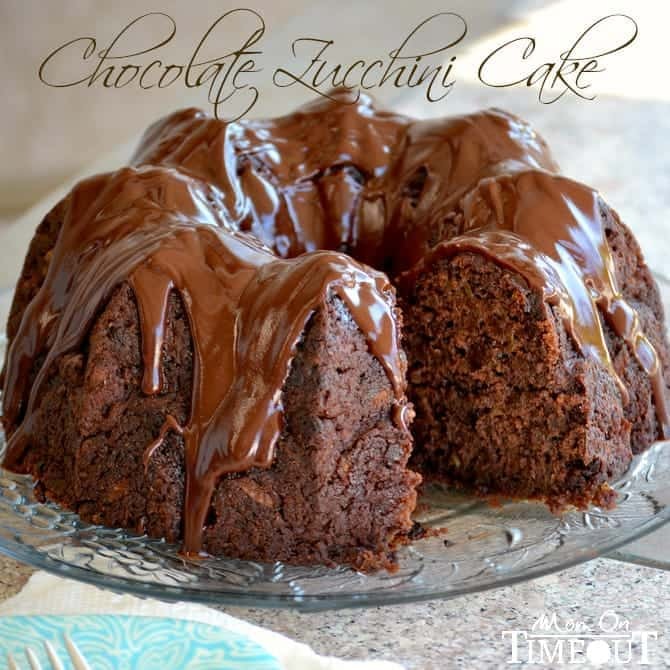 I love zucchini in pretty much every baked good you can think of. Some of my favorites are this Lemon Zucchini Cake, Chocolate Zucchini Cake, Carrot Apple Zucchini Bread and this Zucchini and Green Chile Quiche that makes it’s way into our bellies several times each summer. I’d love to know what your favorite zucchini recipe is – I’m always looking for more ways to enjoy this tasty summer squash! Cut off the ends of the zucchini. 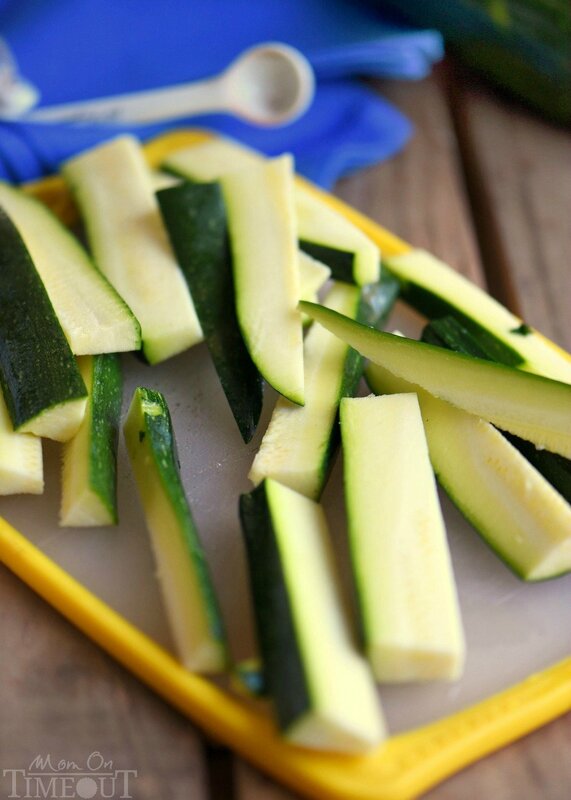 Cut the zucchini in half and then cut into 1/2-inch wide stripes or wedges. Coat the zucchini with flour, if desired. This step is optional. 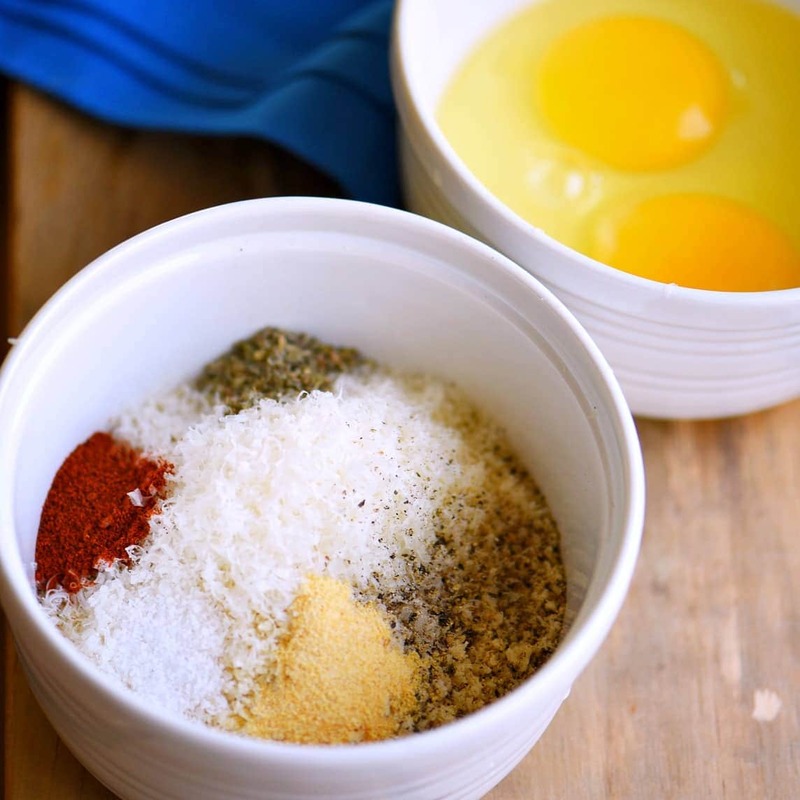 Dip the zucchini strips into the beaten egg and shake off excess. Dredge zucchini in the bread crumb mixture and place on the prepared baking sheet. Repeat for all zucchini fries. Spray the top of the zucchini with cooking spray. Bake zucchini fries for 22 to 25 minutes, or until golden brown and crisp. Turn over halfway through. Garden overflowing with zucchini? I can’t wait to try these Baked Zucchini Tots – I think my boys will love them! 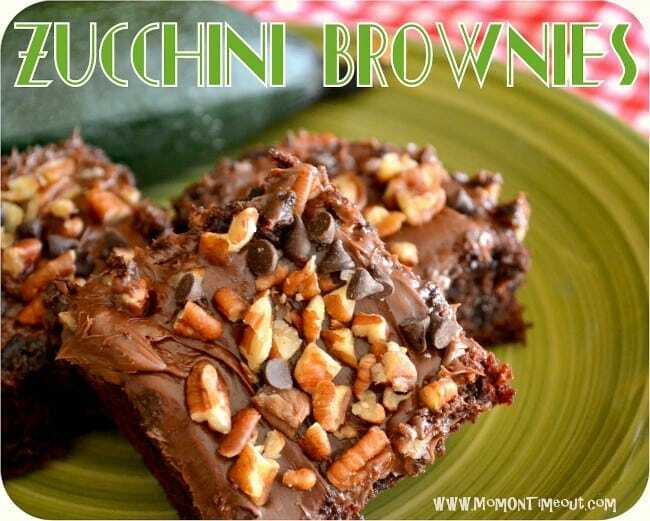 I’ve also got this Best Ever Zucchini Bread and Zucchini Cobbler Bars on my summer to-do list. Enjoy! 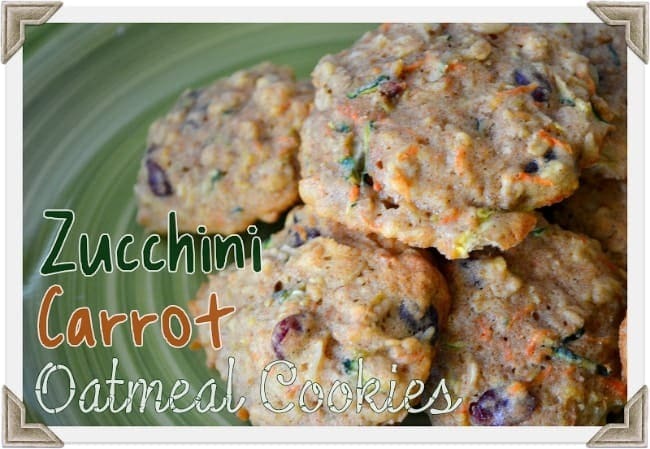 I made these tonight and did it without the breadcrumbs since my husband is on a low carb diet. They turned out amazing. A huge hit! Thanks for posting! Wonderful Avery! Thanks so much for stopping by!